Our company seamlessly integrates business, science, and law to help our clients protect their intellectual property, extract maximum value from their IP assets, and reduce the risk of infringing the rights of others. The abilities of the firm’s partners and staff enable us to offer the full spectrum of advice on practically every aspect in the field of intellectual property. We provide a comprehensive service in patents, trademarks, designs, copyright and other aspects of intellectual property registrations. Technical qualifications and experience cover a wide range of technologies including electronics, computing, computer software, heavy engineering, electrical and mechanical engineering, textile technology, chemistry, biotechnology, microbiology, optics, consumer products, pharmaceuticals, healthcare and nanotechnologies. Intellectual property is an exclusive property but is confined in terms of territory – the rights are applicable within the territory of the appropriate state if the latter has legalized these rights in her internal legislation. Our company can assist you with the IP rights throughout the world. Our business insight doesn’t come from sitting in our offices. It comes from being fully involved in the greater community as well as the inner workings of our clients’ industries, from the plant floor to the corporate board room. Our team of expert professionals and support staff has combined skills in all aspects of intellectual property. They offer a highly professional international service in filing and prosecuting applications to grant, advising on infringement and validity problems, preparing cases for litigation and assisting with commercialisations and exploitation. We keep our clients as informed as they wish to be; we don’t believe in surprises. We provide reports to clients as often as they choose, in the form they choose. Our communications are direct and we deliver the answer early. We scale these services to address the unique needs of each client. We have longstanding relationships with law firms in almost all countries of the world and when necessary, utilize their services to assist our clients in various legal matters. Through our network of associate law firms around the world, we are well-positioned to move swiftly to file any applications around the globe, as well as to draft international contracts and licensing agreements. Our international presence also enables us to provide our cross-border intellectual property clients with up-to-date news about changes in IP treaties and related international issues. The combination of our IP expertise and deep technical understanding helps us be more responsive to clients, whether they are launching new online business models, building trademark and brand identification, or protecting their patents, trade secrets, and copyrights. Our professional approach is tailored to suit the needs of our clients. Our clients’ interests are paramount and, therefore, we endeavour to maintain the highest quality in all the work we do. It is our philosophy always to adopt a positive stance on behalf of clients in our dealings with Offices and third parties. The guiding principle behind our intellectual property law firm is to know our clients’ business and problems, and to use the business and legal resources necessary to solve those problems in each instance in the most efficient manner possible. Thus, our intellectual property attorneys are each prepared to counsel and perform those tasks necessary to secure the best position for our clients in their intellectual property matters and concerns. Our philosophy is simple and straightforward and has led us to success in pursuing the interests of our clients. We understand that choosing an attorney can be extremely challenging because you are not just buying a service, you are entering into a personal and business relationship. We take the time to get to know you and your business so you can be confident that our professional expertise will be brought to bear to help you meet your needs and objectives. We recognize that the challenges and complexities of business life seem to increase daily which means there will not always be an obvious, simple or easy solution to the legal issues facing your business. We also provide the ability to use or enforce intellectual property rights in a timely and cost-effective manner. 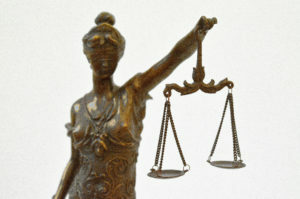 Selecting the right attorney is a crucial step in the invention and bussiness process. Your patent will only be as good as the patent attorney drafting it. To maximize your chances for success, consult a Registered Patent Attorney. These specialists possess the technical and legal skills needed to represent inventors. Patent Attorneys are also obligated to keep your invention confidential, in accordance with the attorney-client privilege. In addition to offering reliable legal advice, a Registered Patent Attorney can help you protect all aspects of your ideas by handing patent, design and trademark registration, by negotiating agreements regarding your invention, and by assisting you to build value in your company through intellectual property rights. Power of Attorney form available here.